Knowing that each of your applications, workloads and data sets has its own set of specialised requirements, you recognise that you simply can't afford to be locked in with one cloud vendor or one cloud model. Whether creating new apps, or modernising traditional ones, you need to define a strategy that delivers agility and responsiveness to meet your unique needs — now and in the future. Whether you are looking to innovate with new technologies, refresh existing applications or extend traditional IT with cloud, it’s helpful to have a prescriptive approach that can factor in your unique business, industry and workload requirements – an approach built on actual experience guiding organisations like yours to the right mix of cloud models and vendors. To help you define your cloud strategy, look for experienced partners who can meet you where you are in your cloud journey, help you envision a bold future and draw a road map to get there. In a commissioned Forrester Consulting global study, organisations that prioritised modernising systems of record have a 1.7 times higher rate of digital transformation success than those who did not. Ease of evolving to a hybrid cloud model: Hybrid and multicloud infrastructures form the optimal base for data-driven applications. With much of enterprise data stored in on-premises systems, solutions that enable you to extend those systems to the cloud quickly and with minimal retraining of staff can help you realise the benefits of cloud sooner rather than later. Certain application servers can be run both in on-premises and cloud environments, offering yet another entry point to cloud for your legacy applications. As you may have heard, microservices mean speed and quality. A microservices architecture breaks down the app into a collection of fully decoupled components that can be developed, maintained, scaled and deployed independently by small, specialised teams. Apps are developed fast and iterations are even faster without the worry of breaking the app. High-performing organisations have automated 30% more of their deployment processes than low-performing organisations. Do you have the tools, methods and expertise to reinvent and modernise your existing enterprise applications? 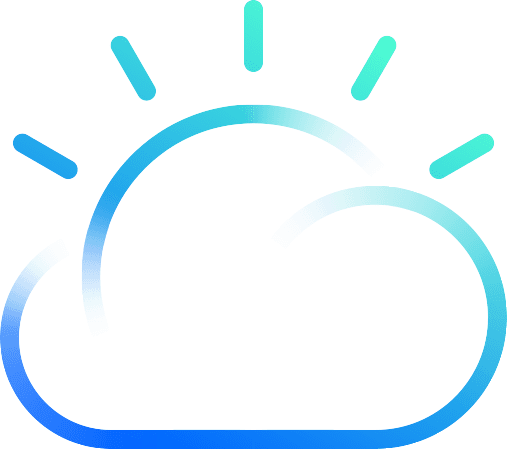 1,2IBM Institute for Business Value, Winning cloud strategies: How leading companies score, November 2017. 3“Business demands for agility and innovation prompt rise of cloud native applications: adoption is set to double by 2020,” Michelle Moore, capgemini.com, May 31, 2017.